What if your Social Security Disability claim is denied? If you have filed a claim with the Social Security Administration and it was denied, there are a few options for how to move forward which is why it’s critical that you be familiar with the appeals process. If you do not agree with the Administration’s decision it’s important to remember that you can appeal, or ask the Administration to review your case again. As with everything related to the federal government there is a specific process to follow. If you want the Administration to review your case on appeal, you have to make a written request for an appeal within 60 days of receiving the Administration’s official letter denying your claim. There are four levels of the Social Security appellate process. First is reconsideration, which involves a review of your case by someone who did not take part in the first review. New evidence will be admitted in the reconsideration phase in addition to all evidence that was part of the first round decision. It is not necessary that you be present during the reconsideration. If after the reconsideration you are still not satisfied, you can move on to a second round of appellate review: a hearing before an administrative law judge (ALJ). The judge will serve as a completely neutral party and will not have been involved in either the first review or the reconsideration. At the hearing, you will be able to call witnesses on your behalf and the ALJ will question all those who testify at the hearing. You can be represented at the hearing and, if you are, your representative will be permitted to question witnesses. 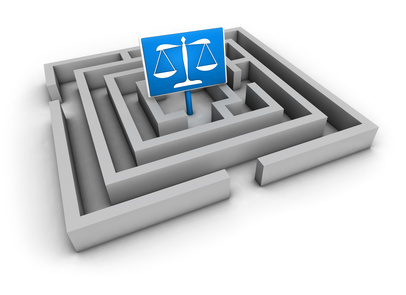 After listening to all of the evidence and reviewing the previous decisions, the ALJ will make a decision and the SSA will send you the judge’s decision in writing. The third step of appellate review is review by the Appeals Council. If the council believes that the ALJ made a correct decision, the Appeals Council will not review the case and the decision of the ALJ will stand. The Appeals Council can also choose to decide your case or to send it back to the ALJ for further review. You will be notified once the Appeals Council has made a decision. The fourth and final level of review is to file a lawsuit in the federal district court. It will be handled like any other lawsuit. At every stage of the process, it is beneficial to have the benefit of counsel, but if you are going to appeal the decision of the Administration, you should definitely contact an experienced attorney. If you think you may be entitled to Social Security Disability benefits and have questions, give me a call toll free at 800-296-2290 or contact me at tsmith@tedsmithlaw.com.